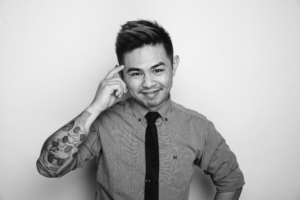 Originally from Korea, I studied architecture and joined the Korean military before discovering my passion for coffee. I came to Australia for a holiday three years ago and immediately fell in love with its coffee culture. I now call Melbourne home and work at Short Black Café. 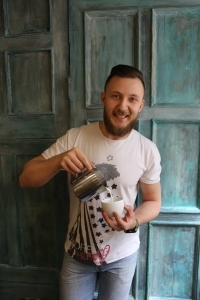 I can’t to represent Australia at the World Latte Art Championships in Budapest. I studied architecture at university in Korea while completing military service, but it was wasn’t for me. Instead, I started reading different books and found one about baristas and latte art. I thought it was really unique, so I gave it a go. I quickly learnt it wasn’t as easy as I first thought. What is the most unusual vessel you've poured latte art into? Once, I poured latte art into my left hand. It was really hard to do it, but really fun. 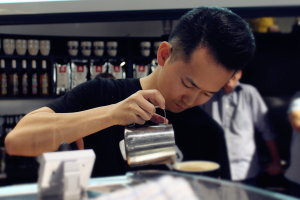 What is your secret to making great latte art? Even if you practice pouring 1000 cups of latte art every day, without skill and knowledge, it won’t work. You need to appreciate the basic foundations of coffee first. When you struggle to produce a desired latte art pattern, or don’t place well in a latte art competition, always learn from the experience. It’s important that you assess what you could have done differently in order to progress. Besides coffee, I love beer. I’m also interested in tattoos, so I’m thinking of getting a beer tattoo on my arm. I’m not really sure where I’ll be in five years, but I hope I will a successful barista and businessman. 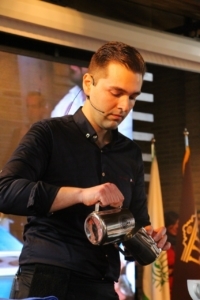 After I finish the WLAC I would like to participate in other competitions around the world to gain more experience and perspective on my coffee career. Is there anyone you would like to thank or recognise, or who helped you to prepare for the WLAC? I really would like to thank the following people for their generous help and support: to Veneziano Coffee Roasters, and its staff members including WLAC Judge Lance Brown, Roaster Pat Connolly, and Head Trainer Jade Jennings Nick Percy, WLAC 2015 Caleb Cha, and my Shortblack Cafè’s Owners Frank and Angelo thank you for teaching me how to prepare for competitors and your continuous assistance. Words can not express who appreciative I am. What are you excited to do while in Budapest? I’m really excited to be in Budapest! I never imagined I’d be in this position when I started making coffee. Now I am going to Budapest as an Australia Latte Art Champion. It is a huge honor for me. I am really excited to compete there and tour that beautiful city. 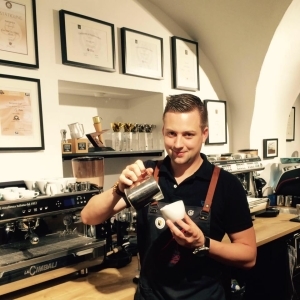 Hey, I’m Benjamin, I’m a Barista trainer from Austria, working for the MUMAC Academy. It’s my third time at the worlds now and I’m really looking forward to compete in Budapest! I participated by pure chance at a basic barista course, i was overwhelmed with joy! What is the most unusual vessel you have poured latte art into? In a sink at Host in Milan. Meeting all these coffee professionals again is always very exciting to me. To meet people that share the same passion like me is awesome! Hi, my name is Roma. I’m from Belarus. 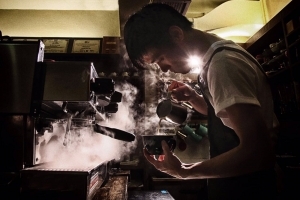 My story as a barista started with a cup of fresh roasted coffee. 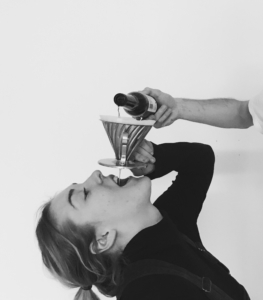 It was espresso from Ethiopia – sweet, good-balanced, with long aftertaste. I was excited and decided to work excactly with this product. This is how I found my first coffee shop, where my team met. 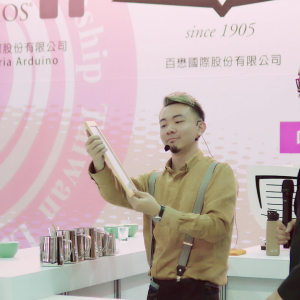 After one year we participated in republican Barista Championship 2015, where I got second prize. There were qualified judges and the performance itself was measured up to world regulations. 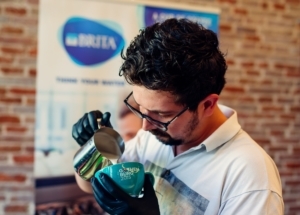 It was the first event like this in our country, which also became a nice kickstarter for coffee culture in the region. After that we succeeded in opening a coffee shop which focuses on a quality. We order green coffee ourselves and roasted it here. 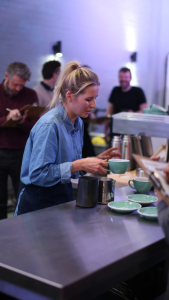 Last national championship brought us (“26” coffee shop) the following prizes: Cup Tasters – 1st place, Latte art – 1st place, Barista Championship – 5th place, Aeropress Championship – 2nd place. I’m really proud for my team and glad to do what I like. As many of us – drinking it in cafe and pubs. 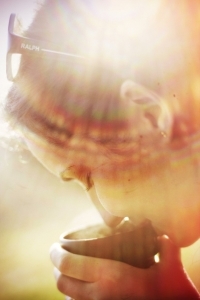 But that wasn’t a real start – that cup of ethiopian coffee changed everything. It was something totally new and unknown. And in that moment I managed with new feelings I got with each sip. And I still explore that. Coffee takes a huge part of my life, so beside that I enjoy my still life in a city. I guess, there is no limits in exploring coffee itself and this culture, surely, will quickly develop. I’m really interested in how it will be and see myself as an active “explorer” in this area. Especially, when there is a possibility to get the best coffee from all over the world. Educational part is also important, so a creation of coffee training center is a nice direction. I heard a lot about summer in Budapest, but I want to discover it’s beauty in a calm walk. 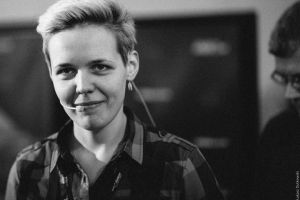 Hi, I’m Jaantje from Belgium and I’ve been a barista for over a year now. My passion for coffee started 4 years ago while living in England. This year I competed in a coffee competition for the very first time, so I’m excited to be part of the World Latte Art Championship. Hello, my name is Graci. I have been working with coffee for 8 years and it is an honor to again represent my country in this championship. I am passionate about latte art and I give courses in which I teach my techniques to new baristas. I got to know the coffee world chance 8 years ago. I feel in love with it and made it my profession. I see myself giving latte art courses around the world. 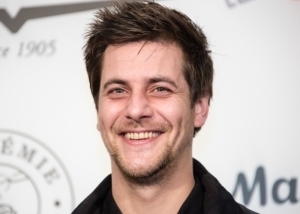 Hi I’m Mikaël, 33 originally from Brest in France. Now living in Bordeaux. 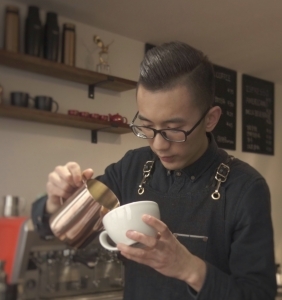 I was a bartender in Paris, then I discovered the specialty coffee industry and I am now a Barista for 2 years. In my own roastery shop. Maxicoffee for advice, milk, and the training space. BWT water and more for sponsoring, Verde Neto for support and sponsoring. Visiting the coffee shops and roastery. Architecture and good. And enjoying myself at The WLAC. The most unusual vessel I have poured latte art into is a small macchiato cup into a big cappuccino cup. I started by pouring the macchiato and then I finished off with the free pour on the big cappuccino cup. Pouring skills developed over time through hard work and lots of practice. Of course, the base for making great latte art is the perfectly steamed milk, patience, dedication. Last but not least, perception and understanding play also a very big role. In my free time I enjoy running and football. Travelling as much as I can doing latte art and doing coffee trips is something I would love to do. Also, a great ambition of mine is having my own coffee shop, where I can do all these things I am so passionate about every day! I would like to thank my coach, the shop where I am working, my family and all the people who stood beside me, supported me and believed in me. I am looking forward to these few minutes on the competition stage! TIME! Hey, I’m Keith. First time in this big party. 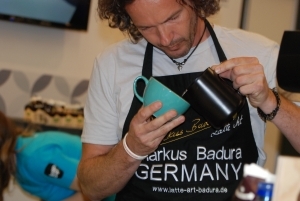 Meet all the best latte artists in the world and learn something from them! I’m 22 years old and I’ve been a barista for about 1.5 years. I work at Espresso Embassy in Budapest. I feel very lucky to have found a profession I’m passionate about and I can imagine myself doing this for a long time. I’m learning something new everyday and I’m very excited to see how specialty coffee reaches more and more people in Hungary. 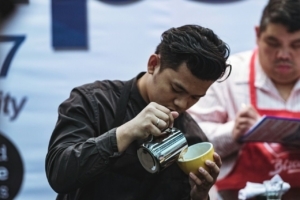 I’ve been a barista for five years and was the 2016 Indonesian Latte Art Champion. My passion in latte art grew from my interest in drawing and challenges in replicating images on coffees. 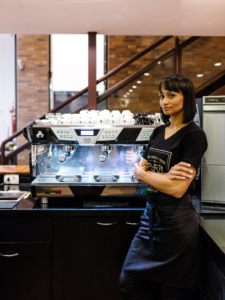 I began working in the F&B industry as a chef but was entrusted with the role to manage the cafe’s coffee bar after. While learning more about coffee and barista skills, I drawn to the techiques of creating beautiful patterns. I enjoyed latte art throw downs and that led me to the WCE championship. Work Hard, Focus, Training, Repeat. Where do you see yourself in 5 years?? 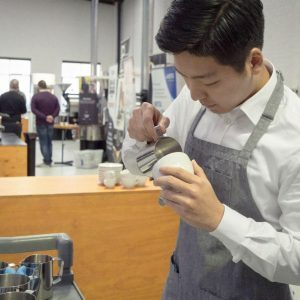 I would love to set up a coffee shop to promote the passion for latte art and as a venue for baristas to share ideas on latte art techniques. There are many people whom I am very grateful for their support ad encouragement. Most importantly, my Coach, Pak Yato; my Wife and Family, and the Common Grounds Indonesia team! Sightseeing for sure! To experience the culture of Hungary, especially the local cuisine and coffee culture. I have been working as a barista for the last 3 years. I love my job. Also I am always into art. I used to make sculptures and maquette. I started my job in a hotel. After a while they wanted me to work there as a barista. So coffee chose me. I became more interested as the days passed as I got familiar with the amazing world of coffee.I really think coffee has been my destiny. I think it was my calmness and great microfoam. I like animals and I adore art. I still will be a barista and I will make every cup of coffee with love and passion. I really want to appreciate all people who always help me,especially Mr. Mohamad Mohamadkhani. I am looking forward to see my friends who are all the competitors and get familiar with them. And also I am enthusistic to share my love and passion for coffee with them. 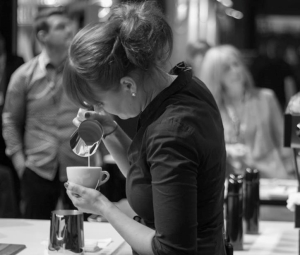 Hi my name is Renata Khedun, I am a barista for many years just because I like to work with coffee. 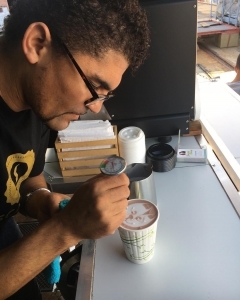 Latte art makes costumers smile—that makes me happy. I would like to say big thank you to my husband, he has been the best support and helped me all this time! And I would like to say thanks to James and all the staff who work at 9th Degree Coffee Roasters. Visit coffee shops, try some traditional food and do some sightseeing in the city. I was interested in latte art and entered this industry. 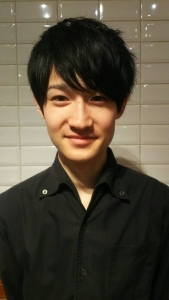 After studying at the vocational school of Coffee for two years from 18 years old, I started a barista at Ogawa Coffee. 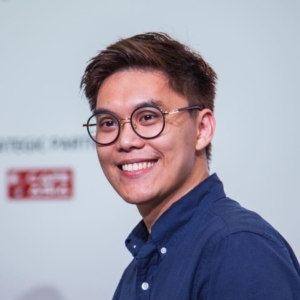 From my point of view, the world of Latte Art is still developing, so I feel that new Latte Art will be born from now on, and I believe it will be a good opportunity for many people to be interested in the coffee industry. I would be delighted if this industry gets more exciting by further exploiting the world of latte art. I was surprised at the latte art which I saw for the first time, and I got interested in the coffee industry. My secret is to quickly combine delicious espresso and delicious steamed milk. I am interested in the world of chocolate. I suppose it would be profound because it resembles coffee. Until now, I have been only taught, but in five years I would like to be a person who can teach many people the enjoyment of coffee. There are so many people I would like to appreciate, but I am particularly thankful for the Yoshikawa trainer, team Ogawa ‘s colleagues and shop colleagues, among others. I am looking for a hot spring. I am Ieva from Vero Cafe, 23 years old. I’m working as a barista for two years now, so I am quite new in a coffee world. Nevertheless, it was enough time to realise that coffee has changed my life forever. Sounds boring, but I make coffee only in cups. Challenge accepted! I have no secret 🙂 it depends on a person’s willingness. How hard you want to be better than before. This year I am finishing my dental hygiene studies. Also I like playing volleyball and making cupcakes. I would like to thank for all my team who did a great job in preparing me for this competition. I’m Lucas, current Malaysia Latte Art Champion 2017. I’ve been working in this wonderful coffee sector for the last 4 years. Brewing coffee is my passion and I’m doing it. Since 2013, after I drank a pacamara coffee, the taste inspired me to start my coffee diary. Hi I’m Jorge Solis from Mexico, I’m 23 years old. I started to make latte art 2 years ago. So excited to represent my country in this championship. I started to work in a coffee shop 4 years ago, there, I saw the barista make latte art. It was there when my interest awoke to know how to make latte art, and even more to know more about the world of coffee. 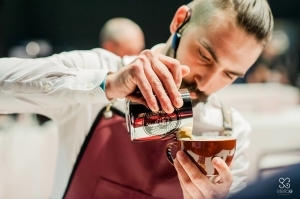 Mexican Latte Art Championship 2016 – 10th place. 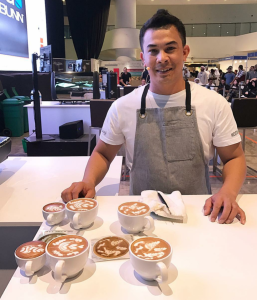 Mexican Latte Art Championship 2017 – 1st place. Visualize the figure before making it in the cup, and repeat the same figure over and over again. There is no more secret than practice. I really like to do hip hop beats from my computer and a drum machine, also from time to time experimental music. I have been passionate about coffee and especially in Latte Art for the last five years. I have been participating in Latte Art competitions since 2015, until now. Through my hard work and perseverance I am extremely excited to have achieved national Champion status this year, and feel so honoured to be able to compete alongside other national Champions from around the world. 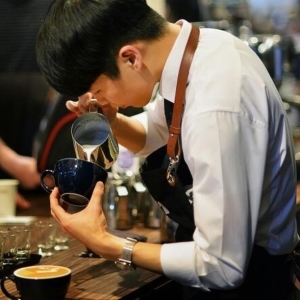 It was by chance that I stumbled across a barista creating beautiful pattern in a cup of coffee with milk, and I fell in love with the art of coffee and latte art. 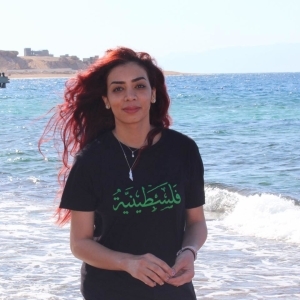 My name is Sarah, I’m from originally from Palestine. I’ve worked as a barista since 2014. I started as en esker help after school time 🙂 I worked 7 hours a week in 6 months. Honestly my curiosity in latte art got me into the coffee industry—when I learned it, I started to explore, and to be a friendly person. I met some good baristas and they shared their knowledge about specialty coffee. My inspiration as a barista I think is all the great baristas all over the world. I want to meet them and have a Latte art throwdown, not to prove who’s gonna win, just for some bonding ?. If my customers were sitting at the bar, I want them to feel that they will be having good coffee by making it with pure passion. It started in 2013 because of my curiosity in latte art. 5 years from now I can see myself as one of the World Latte Art judges. Of course I would like to thank our lord for this kind of talent or skills. Family, friends and mentors. After completing my studies as a draftsman, a great friend inspire me to begin together in the world of barista. I would like to recognize my girlfriend Natalia Forteza for always be there for me. 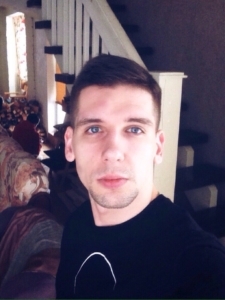 28 years old with 10 years experience in Bartending and Barista. 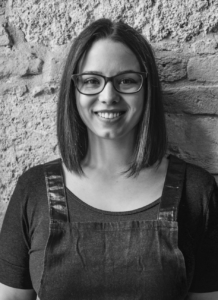 Barista trainer at Barista School since 2015. Is there anyone you'd like to thank or recognise, or who helped you to prepare for the WLAC? There are plenty of people who’d I like to thank, for the last six years they were with me. It would be a shame to miss some names and I do not want to forget anyone, I know very well how much it matters that they support me. I can only say thank you!!!! Hi I’m Polina Notik from Russia. I’m 28 years old and a barista for 10 years. 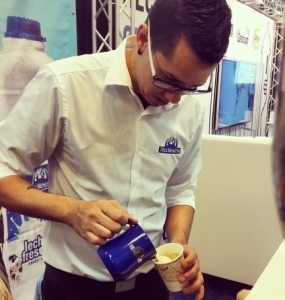 At the 2014 WLAC I was pouring a bee in a cup, and now it is simbol of my coffee shop Roast & Crosby. An abstract representation of drawing, and art school. I’m excited and waiting for the tour to the Buda castle and Andrassy Avenue. Hi, my name is Jervis. I run a mobile coffee company in Singapore, bringing great coffee to people around my country. I was working part time in an Italian restaurant as a service crew. It was shorthanded and I was asked to learn to make coffee. Since that my passion for coffee has never stopped and I continue to seek improvement in my skills as a barista. Basics are important, do not aim to do difficult patterns if you haven’t mastered your basics. Running a cafe serving great coffee to people. My fiancee definitely, she is always by my side, supporting me during my practices. And of course my coach Charlize, a WCE Judge, who trained me so hard and gave me so much guidance. It’s a really far country for me to travel to and I can’t wait to experience the different culture there. My art is to train every day without stress and to enjoy every pouring capuccino. 2x National Latte art champion, 3x Regional Latte art champion. Love coffee, music, and God. I was a Barman at Spier Wine Estate and was introduced to the coffee profession. 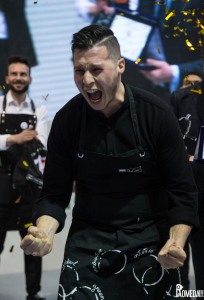 World Latte Art Champion !!! I heard the architecture is amazing in Budapest. I am interested in different cultures and would love to experience the locals way of life, as well as hanging out with my coffee peers. My name is Seonbon Won. And I’m 2017 Korean National Latte Art Champion. I got unique experience to pour latte art into an unusual vessel. It looked like a “Star”. I made a “Rosetta Snow Flower” with milk pouring from the center to the edge of the vessel. I make 2 different types of Latte Art. One is for the championship. It should be very creative, new-patterned and concentrated on clear description. The other is for my customers. This Latte Art should be soft textured, properly temperatured, understandable pattened and tasty. I always make effort making creative and unique Latte Art and try to satisfy my customers. I expect to stay still in South Korea. 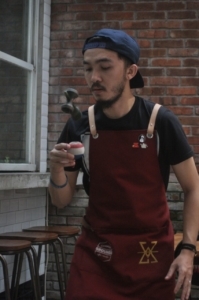 I will be one of the people developing Korean Coffee culture. Especially, my trainer Banseok Lee. He is one of the greatest trainers. Also, I really thank my team members who helped me overnights during the championship period. I’ll do my best to be a winner. And I’ll have a fantastic dining with my trainer and Korean team!! I was born in Buenos Aires. I have lived in several countries of South America. I have been living in Spain for 10 years and I have been working in the cafe world for 4 years. I work in a small cafe in a village in Cantabria (northern Spain) where my clients enjoy the cups that I prepare each morning. Working. Then started investigating about coffee on the web and end up doing my first training course at Iecafe with Miguel Lamora. 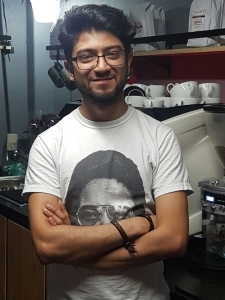 These last 3 years I have been forming in the school of coffee that has the “Grupo Dromedario”. Four years ago I started my barista training. 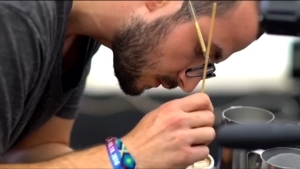 In 2015 I participated in the national Latte Art Championship of Latte in Spain, and claimed fourth place. Last year I returned to participate and I had a better result—second place. This year I have proclaimed champion of Spanish Latte Art. 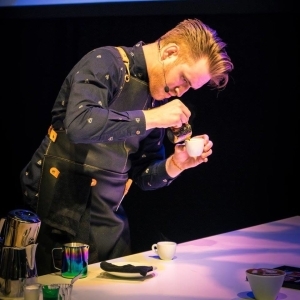 I am delighted to live the experience of representing my country in the worlds, and to share techniques and designs with baristas from other parts of the world. I started working with coffee five years ago. I got in to the coffee world accidentally, and this was not at all what I intended. Competing? In coffee? I thought the whole idea was crazy. Me, the most nervous person I know, being up on a stage, competing in the most abstract competition I could think of. Ha ha. But this is my third year now, and this is absolutely one of the best things I’ve done, in my life. Such greatness and fantastic people you get to meet. Wow. I’m amazed. Accidentally. I was supposed to work with movies and film photography, but to do that you need money. And let’s face it, it’s not that hard getting a job in our business. So I got a job in a mediocre coffeeshop, and from the moment I sat my foot there, I saw the potential coffee had. Two years passed and then I got headhunted to da Matteo in Gothenburg. I’ve been working there for three years now, and I couldn’t think of a better workplace. The mouth of my colleague. We were a bit drunk, the rest is history. To not think too much and just pour. Let the hand just swirl and it will all be fine. People are overthinking things way to much. Stop that. Can you have any interests outside of coffee? Well, of course you can. Reading, traveling and drinking a lot of beer are mine. Also cleaning. If there would be a competition in cleaning – I would probably be in the top 5. Yes. Peter – my coach. And the one and only Albin – who never doubted me for a second. He’s the best. And the rest of the da Matteo crew who probably will be there cheering for me. Meeting people. Drinking cheap beer. Taking dreamy baths. Being on some sort of vacation from the everyday work. Life is a combination of magic and coffee! It is my inspiration to be creative. I found my destiny by coffee. 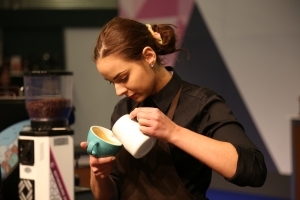 I am looking forward participating in my first World Latte Art Championship in Budapest. Hi, I’m Giesen. Nice to meet you. It was just curious at the beginning.Later fell in love with coffee. My secret is practice and more practice. Everybody I know.They are always concerned about me. In Australia, when I saw the 2007 World Latte Art Champion Jack Hanna, who was working in the same cafe pouring his latte art in the morning. Since then I have been practicing, aiming to become World Latte Art Champion like him one day. All my friends and my family who have shown up while I was training. Also my staff at Ristr8to who are working for me so I can peacefully prepare for this World competition. 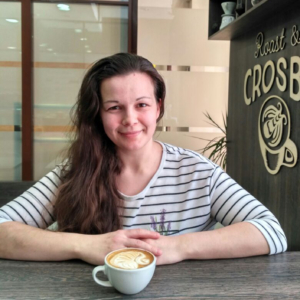 I am Özgür, from Keobs Coffee Roastery also working in the business position. My interest in Latte art led me to this race. I’ll see. 3 years ago I said I want to open a coffee shop this question. Really excited to be there. My name is Heidi Philip-Smith and I’m 24 years old. I’ve been in the coffee industry for 3 years. I competed in the 2016 UK Latte Art Championships and came 2nd but my dream is be the first girl to win the World Latte Art Championships. 3 years ago myself and a friend went to London Coffee Festival on trade day and entered the Cravendale Latte Art Competition (my first ever competition) — I had to go against Dhan tamang (*5 UK Latte Art Champ!) Unfortunately I didn’t beat Dhan, but we made a good friendship and I’ve worked for him ever since and learnt all my latte art from him. In 5 years time I either see myself having my own coffee shop or traveling the world visiting coffee shops and see the world. Firstly my coach, Dhan tamang — I wouldn’t be where I am now without his help! Also the company I work for — Coffee Lab UK / The Roasting Party have been a huge support. Just being in Budapest is exciting for me! It’s such a beautiful city! Meeting the other competitors, and making new friendships. Hi everyone! There are two passions in my life: coffee and painting. I decided to combine my passions 5 years ago and started to draw on coffee. This year I won in the National Championship so see you. 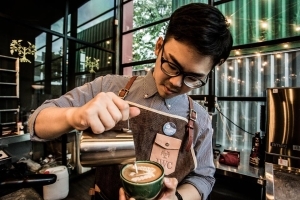 Marvin Soliven from the Philippines, Senior Barista at Nostalgia Dubai, UAE. Before he won the National Latte Art Championship, Marvin knew nothing about the coffee industry. He tended to be an aspiring artist but fell into the world of coffee. However, he gave up everything and managed to unite his passion of art in the field of coffee. Before I moved to Dubai, I knew nothing about coffee. In my first company, the love of coffee was all started when I tried my first pour which made me realise that coffee could be my world. The first thing that interested me with coffee was latte art. At that time it was a new trend, so I started learning, watching videos, and being taught… after years of improving myself I began to design an artistic design that was created by my creative mind and handle a roasted and ground bean made by my imaginative soul that innovated from those classical tradition to new coffee Industry. On the other hand, in my thirty years of existence, my perception of coffee evolved due to my love and passion in creating relevant taste towards coffee that could somehow be an instrument to connect my art in the field of coffee to coffee lovers’ emotion. Constant and correct practice make it perfect with LOVE and PASSION for what you are doing is of great help to visualize the pattern. With great training, it will create great latte art. Besides being an excellent coach/trainer to our aspiring baristas, and most importantly, a specialty cafe owner—the hope that I might be one of the judges of this championship in the next World Coffee Event, five years from now. First of all, my family who support me—my wife and kids. A big thank you to Nostalgia Dubai—to the best boss ever, Miss Maitha, and to my coach Lyndon Recera. To the rest of Nostalgia family, who have supported me from practice until the competition date, thank you for giving me this opportunity. It’s an honor to be there and meet different people with diversity. Interacting with those coffee professionals at World of Coffee, and learning something from them, that surely will help me grow as well-rounded individual and deepen my knowledge throughout coffee industry.